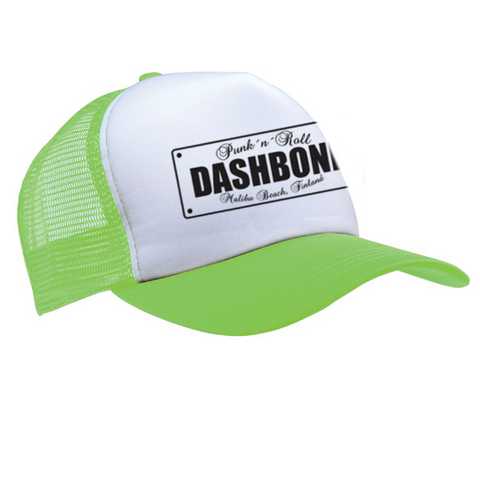 Dashbone trucker cap. Available in three color options. Vintage Trucker cap with bands license plate design. 3 color options.